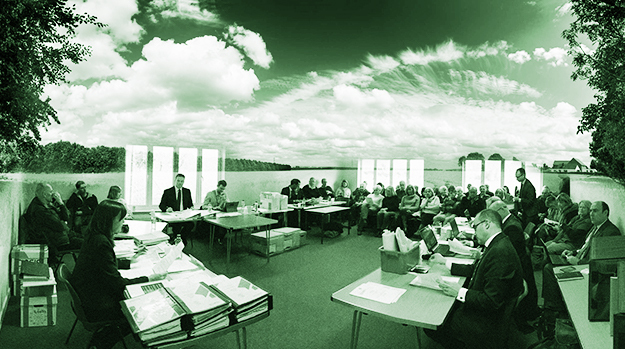 Today was the last day of the Green Gap Appeal Hearing. Proceedings began with a bewildering presentation by Grainger’s representatives about ‘conditions’ that would be applied in the event that the scheme goes ahead. There’s nothing substantive to report other than the Council, OCC and Grainger have reached an agreement. 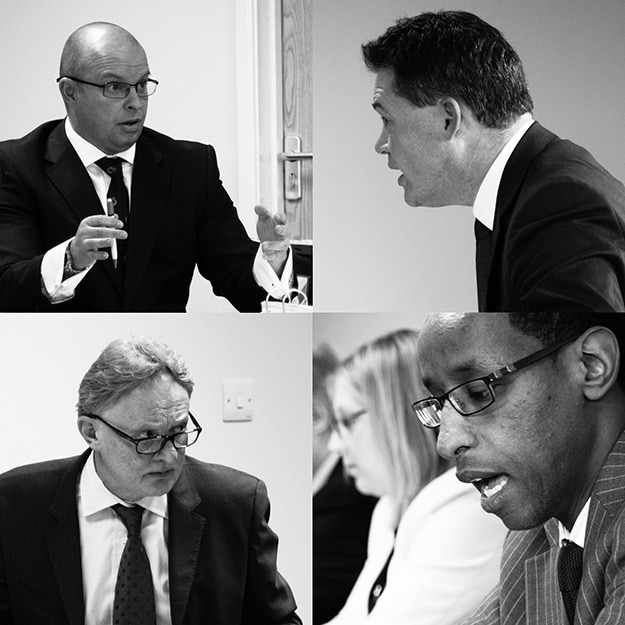 The rest of the afternoon was taken up with three lengthy closing statements by each of the three barristers. There were no major surprises or killer blows. Tom Cosgrove QC for the council cited loss of a valued landscape and coalescence – in the context of an emerging Garden Town – as reason for refusal. Mind the Green Gap’s Hashi Mohamed memorably paraphrased Grainger’s position on the (non) existence of the Gap as “I see no ships”. He went on to concur with SODC’s core argument and added the added element of loss of ‘Best and Most Versatile’ land to the pot. James Maurici QC for Grainger repeated their well worn case. There is no gap. There is negligible harm. There is a housing need that they will fulfil. Tomorrow (Tuesday 24th) the Inspector will visit the site. She’ll be chaperoned by two representatives from each of the parties. The tour will start at 10am at Fleet Meadow Community Hall, then walk south to the Gap. After enjoying the view (which presumably Grainger’s team will not see) the group will walk east down the Public Right of Way on the north of the site, then turn South over the open field to reach Great Mead. From here they will loop around the Village centre before walking up New Road to the Gap. After that we wait. The Inspector has been armed with strong reasons for refusal. If she minded to side with the campaign and the community she can do so with confidence that any legal challenge by Grainger would fail. The Inspector will take at least two months to reach her decision. Let’s hope sanity reigns. Let’s hope she makes the only right decision – to Save the Green Gap. This entry was posted in Uncategorised on 23rd January 2017 by Mind the Green Gap. 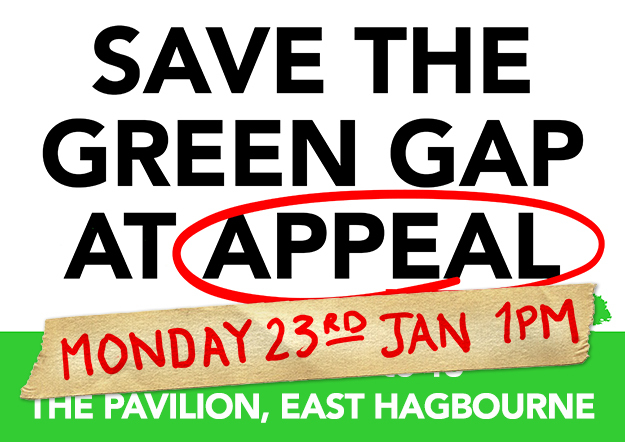 The Green Gap Appeal continues at 1pm on Monday 23rd January. We can expect closing statements from each party's barristers then technical discussions about fiscal agreements and ‘conditions’. Grainger will repeat their deeply flawed case. They assert that there is no Gap at present and that, therefore, it’s loss is of no consequence. We’re told by them that the development is not in East Hagbourne village but instead ‘sits … comfortably within the existing built form of Didcot’. Then to add insult to injury they conjure a new 25m gap of swales and ditches and present this as a community asset rather than the drainage system it really is. Mind the Green Gap and SODC will present a very different view (a view we believe is as tangible as that of the AONB from New Road). In the planning balance we accept that the new proposed housing is a benefit. But we contend that such benefit is significantly outweighed by the harm of coalescence, the harmful loss of valued landscape and the harmful loss of grade 2 agricultural land. Attendance from residents last week was impressive. The room was full throughout. Monday is another chance to show we care. Let’s again remind the Inspector that this is not just any other field, but one that’s hugely valued. Let’s remind her that we care deeply about our environment. Let’s remind her that the local community want to save this precious gap for generations to come. The hearing may run into the morning of Tuesday 20th January. More likely this time will be used for the Inspector’s accompanied site visit where she will see for herself how important it is to Save the Green Gap. This entry was posted in Uncategorised on 19th January 2017 by Mind the Green Gap. Experts and barristers. Friday 13th January. Today was day 4 of the Green Gap Appeal. 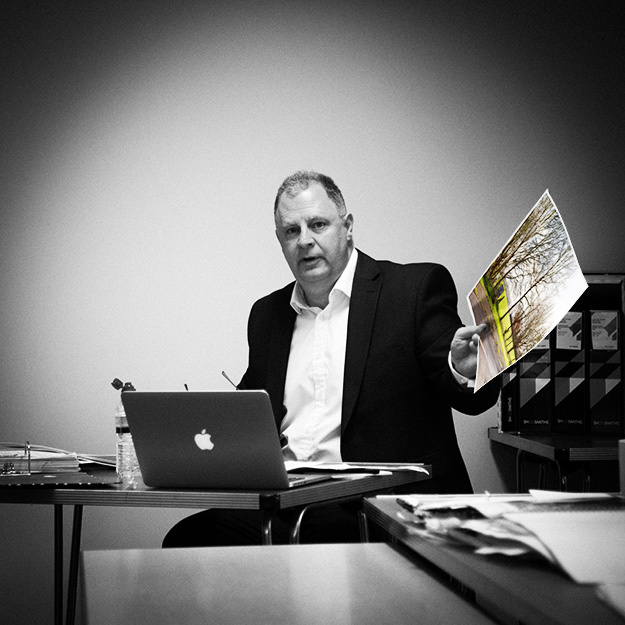 The morning saw Grainger’s Landscape expert Mr Kelly get a grilling from both SODC’s and Mind the Green Gap’s Barristers. Mr Kelly was challenged on a number of his more curious assertions. He proposed that if you drive south down New Road and look to the right that there is no gap (this is one heck of a slight of hand trick, and also quite dangerous). Also, amongst other things Mr Kelly was taken to task on his punctuation! Don’t worry, rather than a flippant gibe this was a critique of Grainger’s core case that the (in parentheses) ‘gap’ is not really a gap at all. This entry was posted in Uncategorised on 13th January 2017 by Mind the Green Gap. Today was day 3 of the Green Gap Appeal. And what a great day it was too. Crispin Topping took the stand as Mind the Green Gap’s landscape witness and was cross examined by Grainger’s barrister. In the most part this was a calculated attempt to undermine Crispin’s integrity. With nothing to hide Crispin held his ground brilliantly and with much restraint did not rise to the bait. One would hope that the Inspector, like the rest of us, saw all this as a needless distraction and wholly irrelevant. Are Grainger getting a bit desperate? Today was day 2 of the Green Gap Appeal. Mr Mark Flood, SODC’s planning expert, was first on the stand. Assisted by his barrister Tom Cosgrove he very ably presented the Council’s case. It’s fair to say he then had a tough couple of hours being questioned by Grainger’s barrister. But Mark survived the ordeal and will live to fight another day. Today was day one of the Green Gap appeal. After opening statements from advocates we heard evidence from SODC’s landscape expert witness Mr. Peter Radmall. He was then cross examined by Grainger’s barrister Mr. James Maurici QC. There were no great surprises. SODC said the gap was important. Grainger disagreed. 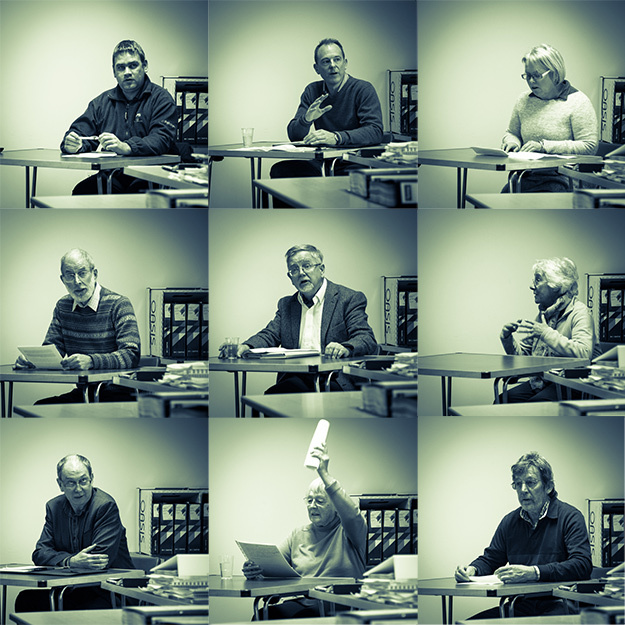 In advance of next week's appeal many thousands of words have been written about the Green Gap. But perhaps it's only pictures that can tell us the full story. So we have made a short video to help the appeal Inspector understand why the Green Gap is important to us local residents. Some sites must be preserved for the greater good. This is one of them. (This video can also be seen on our YouTube channel). This entry was posted in Uncategorised on 7th January 2017 by Mind the Green Gap. 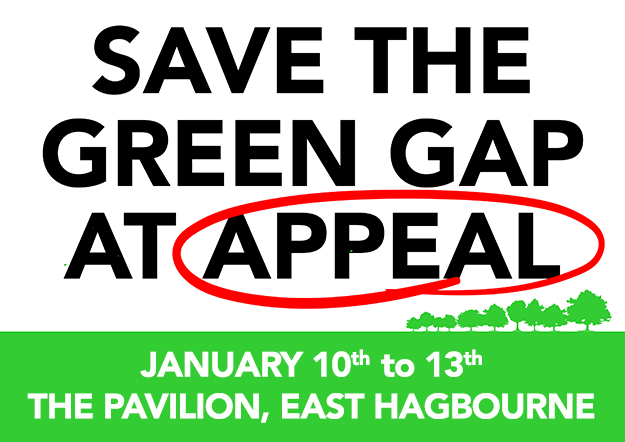 The Green Gap appeal hearing begins in less than two weeks. Each party’s case has been published. The battle lines are set. If you plan to attend, and especially if you plan to speak, please have a look at the Appeal page of the website. You will find notes about the appeal process, and links to evidence documents from Grainger, SODC and the campaign. Together we can win this battle. Together we can Save the Green Gap. This entry was posted in Uncategorised on 27th December 2016 by Mind the Green Gap.